To buy Samsung SCX-4824 laser toners offering the cheapest rates savings, then choose Cartridge Save! You'll discover that only the most economical rates are assured from Cartridge Save day in and day out. It'll no longer be necessary to spend such a long period of time looking for Samsung SCX-4824 cartridges nearby and wind up spending much more. Get remarkable discounts today with us. Shopping with Cartridge Save will mean you could reduce costs and benefit from the best customer support currently available. You'll have complete satisfaction if you buy new Samsung SCX4824 toner with Cartridge Save thanks to our rock-solid thirty day cash back promise that comes as standard . Don't forget everything you buy comes with absolutely free delivery, normally arriving the following day! Spend less, buy today. 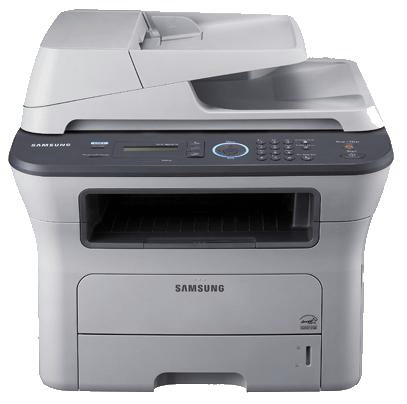 The Samsung SCX-4824 is an all-in-one laser printer with scanning, faxing, and copying capabilities. The Samsung SCX4824 multifunction printer can be used for small offices or personal use. It has a monthly duty cycle of 50,000 pages. For connectivity, users can choose from the USB connection or Ethernet. However, the Samsung SCX-4824 printer does not have built-in Wi-Fi and lacks convenient features like memory card readers and a USB port. With dimensions of 445.2 x 410.5 x 395.3 mm and weighing 12.5 kg, the Samsung SCX 4824 is not the most compact or portable device in its class. The SCX-4824 all in one printer has a maximum print resolution of 1200 x 1200 dpi and scan resolution of 4800 x 4800 dpi. A 250-sheet cassette tray is integrated, and the output tray can handle up to 100 sheets. The Samsung SCX-4824 printer is very convenient, offering 4 functions in one device. The control panel with the LCD monochrome screen and numeric keypad is easy to use. The flatbed scanner does a good job, and the automatic document feeder helps save time. PC fax can also be done using the Samsung SCX4824. The Samsung SCX-4824 mono laser printer is already an excellent device, but it could be made better with a few additions like built-in Wi-Fi, memory card readers, and a PictBridge socket.